"Road-building" might sound innocuous, like "house maintenance" - or even positive, conjuring images of promoting economic growth. Many of us have been trained to think so. 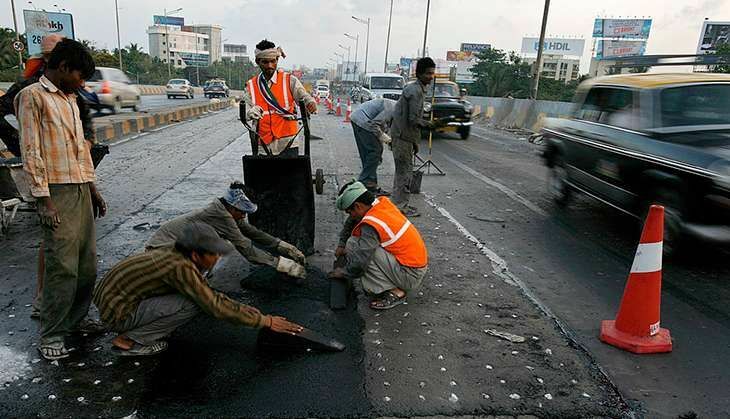 But an unprecedented spate of road building is happening now, with around 25 million kilometres of new paved roads expected by 2050. And that's causing many environmental researchers to perceive roads about as positively as a butterfly might see a spider web that's just fatally trapped it. The new study, led by Pierre Ibisch at Eberswalde University for Sustainable Development, Germany, ambitiously attempted to map all of the roads and remaining ecosystems across Earth's entire land surface. Its headline conclusion is that roads have already sliced and diced Earth's ecosystems into some 600,000 pieces. More than half of these are less than 1 square kilometre in size. Only 7% of the fragments are more than 100 square km. That's not good news. Roads often open a Pandora's box of ills for wilderness areas, promoting illegal deforestation, fires, mining and hunting. 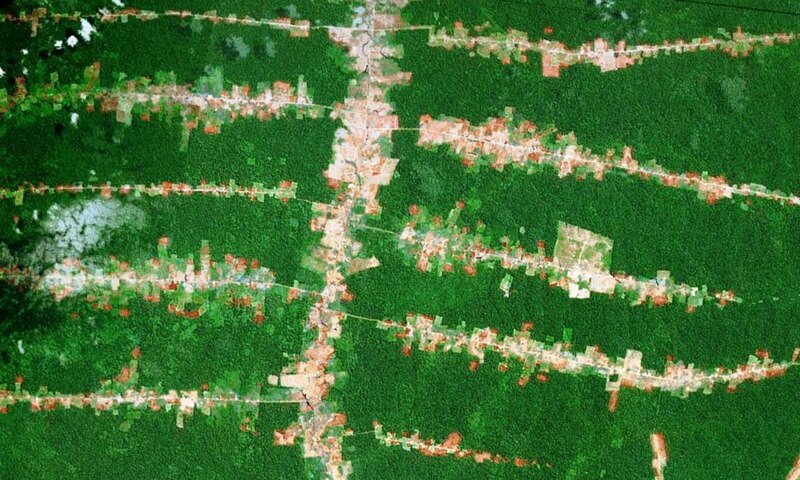 Deforestation along roads in the Brazilian Amazon. One might think that satellites and computers can keep track of roads, and that's partly right. Most roads can be detected from space, if it's not too cloudy, but it turns out that the maddening variety of road types, habitats, topographies, sun angles and linear features such as canals can fool even the smartest computers, none of which can map roads consistently. The only solution is to use human eyes to map roads. That's what Ibisch and his colleagues relied upon - a global crowdsourcing platform known as OpenStreetMap, which uses thousands of volunteers to map Earth's roads. What this implies is that the environmental toll of roads in developing nations - which sustain most of the planet's critical tropical and subtropical forests - is considerably worse than estimated by the new study. This is reflected in statistics like this: Earth's wilderness areas have shrunk by a tenth in just the past two decades, as my colleagues and I reported earlier this year. Lush forests such as the Amazon, Congo Basin and Borneo are shrinking the fastest. The modern road tsunami is both necessary and scary. On one hand, nobody disputes that developing nations in particular need more and better roads. That's the chief reason that around 90% of all new roads are being built in developing countries. For instance, the more than 53,000km of "development corridors" being planned or constructed in Africa to access minerals and open up remote lands for farming will have enormous environmental costs, our research suggests. One way we've tried to promote a win-win approach is via a global road-mapping strategy that attempts to tell us where we should and shouldn't build roads. The idea is to promote roads where we can most improve food production, while restricting them in places that cause environmental calamities. The bottom line is that if we're smart and plan carefully, we can still increase food production and human equity across much of the world. But if we don't quickly change our careless road-building ways, we could end up opening up the world's last wild places like a flayed fish - and that would be a catastrophe for nature and people too.